For recovery of deleted files, formatted drive, unbootable hard drive our cost is between $60-$100 depending on the amount of files you need recovered. Fill out the form on the right or call us at 416-918-0094 if you need anything recovered. Contact us at Toronto-Danforth computer services if you need your hard drive restored, specific data restored, or your data backed up in case of emergency. Your data can become inaccessible to you either due to a software problem that corrupts your data, a virus, or a drive that has experienced either a mechanical or electrical malfunction. In most cases, while you cannot access your data, our data recovery is still possible by a trained technician. There are instances where the damage is so severe that data recovery may not be possible. However in 80 to 90% of the time, data recovery is possible. The most common cause of data not being recoverable is due to the drive experiencing severe mechanical damage in which the read/write heads actually “crash” and gouge the magnetic media to the point where data is not recoverable. However, in a number of cases data recovery was possible when the damage occurred but became non-recoverable through the use of a variety of commercial software. This commercial software is designed to be used to recover data on working drives. If your drive has experienced mechanical or electronic failure, then the use of these commercial recovery packages can result in your data being non-recoverable. 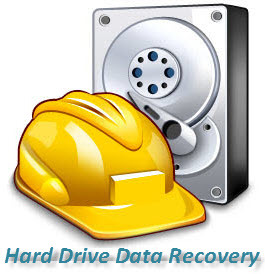 If your data is very valuable, it is wise to let our data recovery specialists evaluate your drive first. How long does it take for data recovery? This depends on the storage size of the device you want to recover from. It may take up to a few days to recover from certain drive failures. The device would have to diagnosed first before any decision as to how long any recovery could take. How do I get my data recovery back? Once the job is completed, you can get your recovered data in a thumb/flash drive, CD/DVD drive or another hard drive that we can either ship back to you (registered mail) or by pickup. Contact us using the form on the right – add subject ‘Toronto Data Recovery‘ or Call us at the number at the top of this page. We are located in East Toronto – Pape/Danforth. You can drop off your computer or hard drive and we will call you once it’s ready!